Southern Star is a Regional Service Provider for Dish Network installing satellite systems in Oklahoma, Texas, New Mexico, Louisiana and Arkansas. 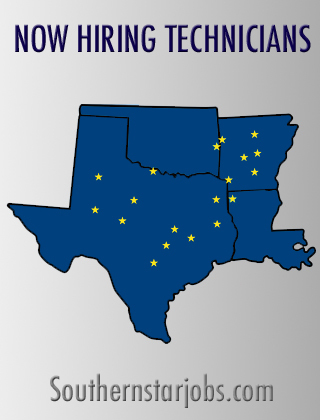 We have 15 offices including Abilene, Austin, Fort Smith, Heber Springs, Little Rock, Longview, Lubbock, Lufkin, Malvern, Odessa, San Antonio, Temple, Texarkana, Warren and Wichita Falls receiving, installing, and delivering equipment 365 days a year to customers in our coverage areas. Our corporate office is located in Poteau, OK.